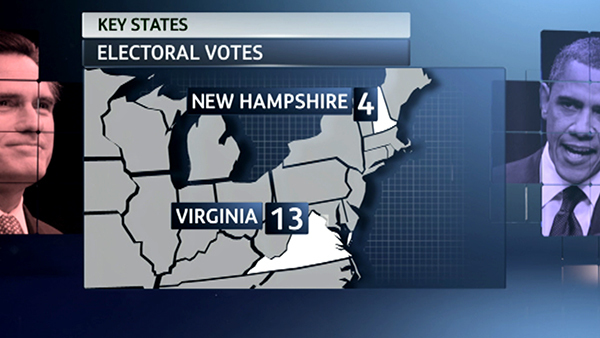 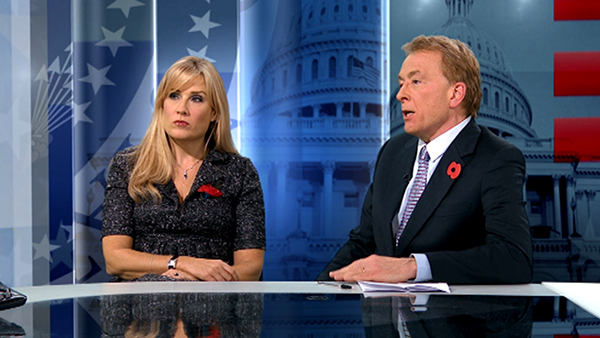 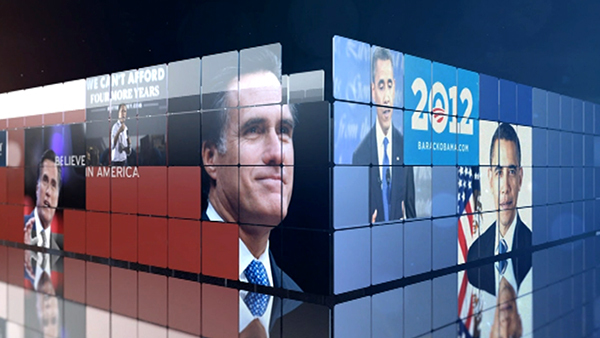 The coverage of The US Election on ITV was based on the concept of the periodic table with each state representing an element. 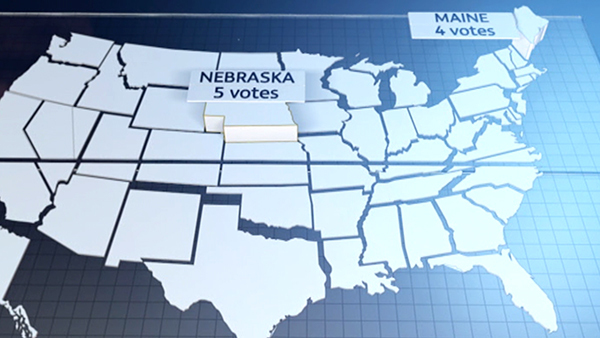 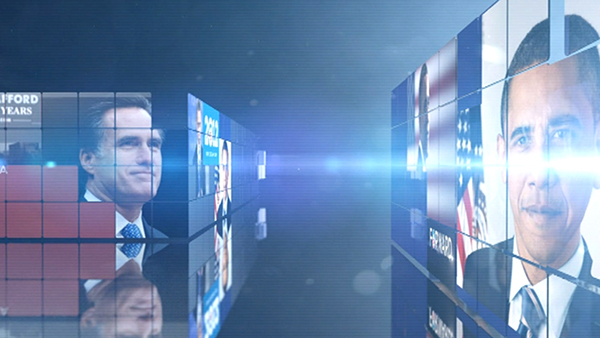 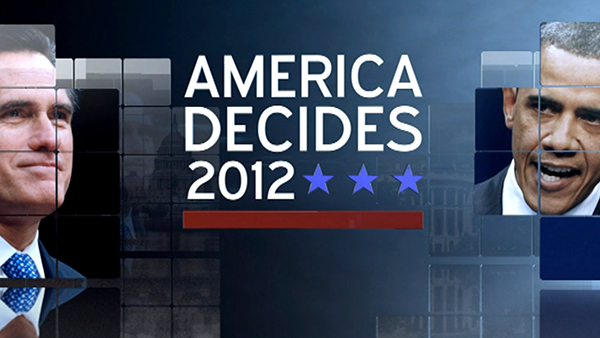 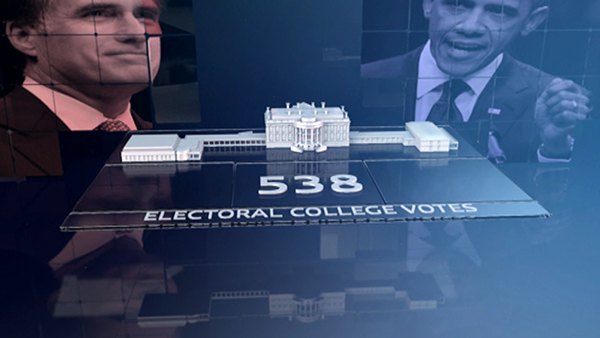 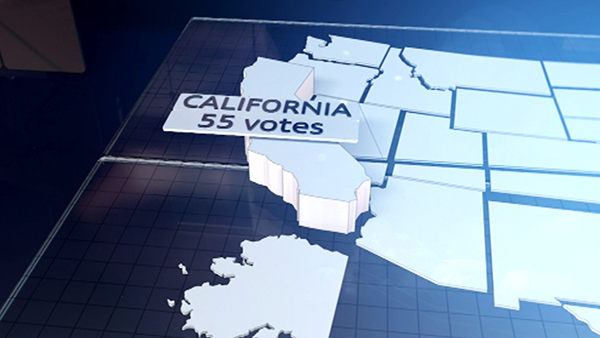 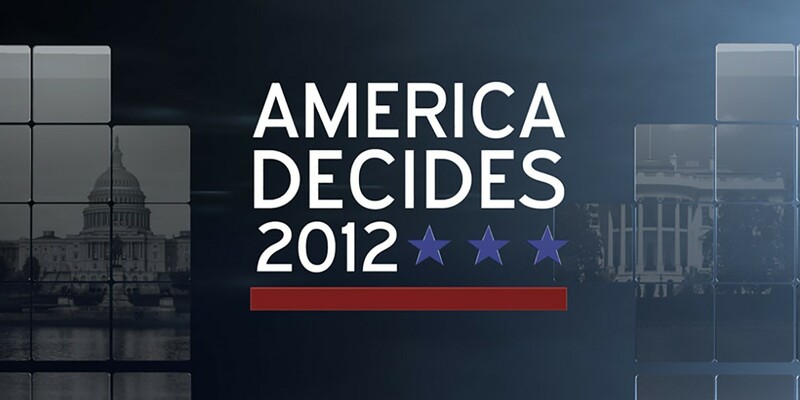 The Opening titles used this as a motif with images of of Obama and Romney during their campaigning. 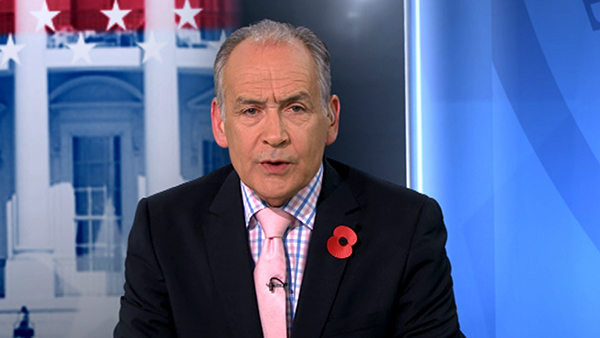 As ITV were simulcasting their coverage with NBC, we needed to make sure our design was complementary with the US coverage whilst retaining our own visual identity. 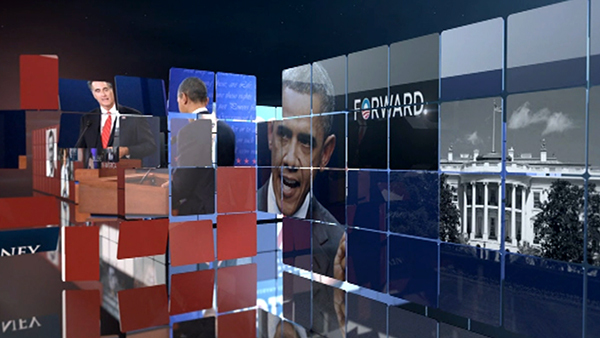 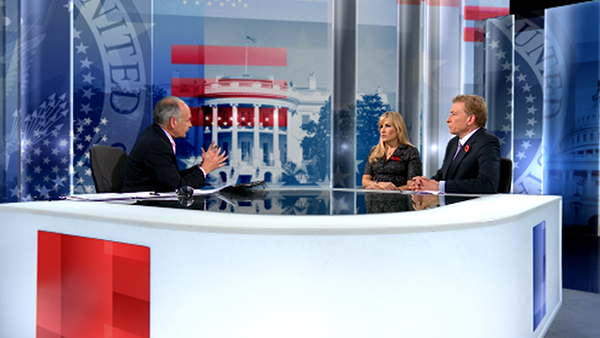 Using our virtual studio technology we were able to re-skin our news set in keeping with the feel of a Presidential election.